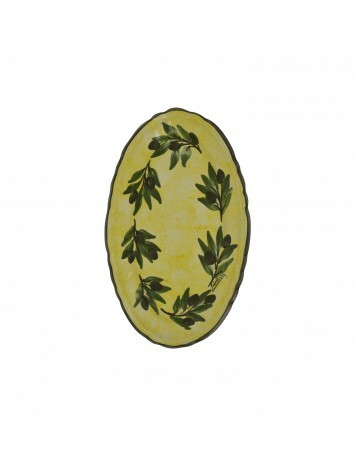 A french country flair to your table. 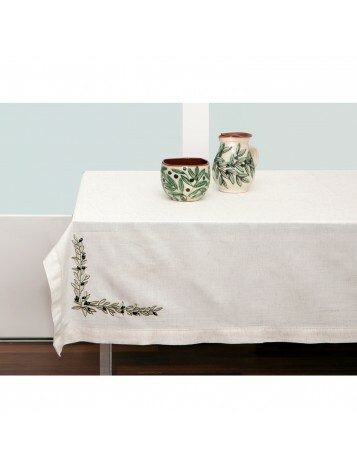 Beaitiful linen tablecloth in natural off-white, richly embroidered with olive designs. 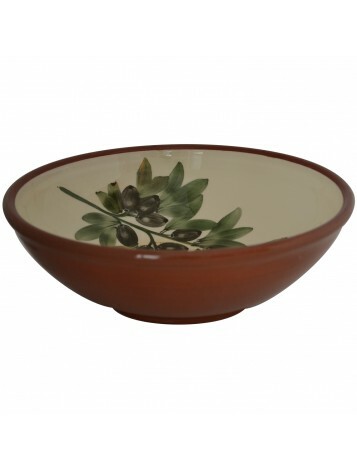 At UrbanFolk.eu you will discover a carefully handpicked collection of Aegean Mediterranean Dinnerware & Homeware. In our Tableware Category, you can explore our unique range of decorative and functional pottery bowls, decorate your walls and your table with our hand painted plates and platters, enjoy your tea or coffee with artisan handmade pottery mugs, serve in style and impress with hand painted ceramic pitchers, add a world traveler's touch with soft accents with Greek traditional designs, decorate your coffee table with decorative brass trays, prepare traditional coffee in traditional coffee pots, add a Greek tavern flair with tavern tableware and much more! In our Kitchenware Category you can explore our stunning ceramic cookware that are both high quality to cook and beautiful to add on your table! Slowly cook your healthy and juicy meals in your ceramic cooking pot with the hand painted designs and place it on the table to serve! Or prepare your tea in your stunning brass tea pots! And for the fans of coffee, prepare Greek, Turkish, Arabian and Traditional coffee in your brass & copper coffee pots! In the Living Room Category you will explore beautiful throwns and blankets with bohemian stripes and rich hues and cusion covers with Folk Art designs.Complement your room with rugs with traditional designs. Finally in our accessories section you will discover beautiful and unexpected accessories like hand painted candles, ceramic jewel boxes, wooden decorative boxes and much more! All pieces are inspired by the Aegean Mediterranean tradition and made by some of the best local Craftsmen. All handmade pieces are hard-to-find, small production and some are one-off. When you therefore decide upon your favorite handmade findings, buy them before they are gone! Combine in one order your favorite selections from various craftsmen & artisans and get charged with one transportation cost. Enjoy your Mediterranean e-travel, discover hard-to-find artisan pieces and make your home even more special, or gift your selection to your beloved ones and they will be thrilled!